After our second church meeting, it's about time that the Pittsleys begin keeping interested persons updated on the progress of our missions endeavor. 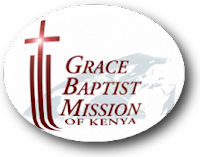 Right now I am finishing up a project at work while beginning to contact more churches about supporting our work in Kenya. Progress on that front is slow, but I've been preparing for this time for a full decade, so I'm not discouraged. Since I need to be blogging regularly to keep people informed anyway, I figure that I might as well do it right. I hope to post at least twice a week: once on the progress of the mission and once on some point of theological interest. I'll probably change the site around some in the coming weeks to make things more accessible for new readers.